Investing in the latest CNC milling equipment so that we can keep delivering the finest machined products, our equipment includes a Mori Seiki Super Miller 400 5 axis CNC machine, providing us with the very latest in multi axis CNC milling technology. At Fastec Engineering, we make a continuous effort to keep up to date with developments in the CNC machining industry and consistently invest in new technologies. We review our machinery’s capabilities yearly, and if we don’t feel it is up to scratch we’ll make sure we do something about it. The precision engineering sector is fast paced and competitive, but we do everything we can to stay ahead of the crowd. 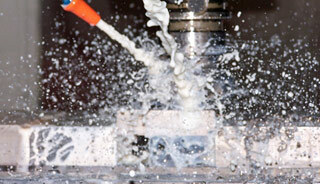 As a result, we believe that our CNC machining services are second to none. As part of our bid to keep investing in the latest CNC equipment, we recently purchased a Mori Seiki Super Miller 400 5 axis CNC machine, providing us with the very latest in multi axis technology. Although this was a costly investment, we believe that it pays off in a multitude of ways, allowing us to produce more complex parts with intricate designs at a higher speed and with less man power involved than ever before. This means that you can rely on Fastec to provide a speedy, efficient and reliable service. Using cutting-edge CNC machinery with full four axis machining and mill drill capabilities, we’re able to offer a superior CNC precision Machining service. We can utilise a wide range of materials, including stainless steel, alloy, brass, plastic and aluminium, and we’re able to produce parts of any size you request, from miniature pins to those over 32mm in diameter. With a total of twenty CNC machines at our premises, at Fastec Engineering we have the facilities to engineer all manner of parts for many different industries, whether you want to produce a prototype part or a large batch. We’re always flexible and work to complete your project on time and in budget. For more information about our CNC machining, call 01638 660186 or contact us online.